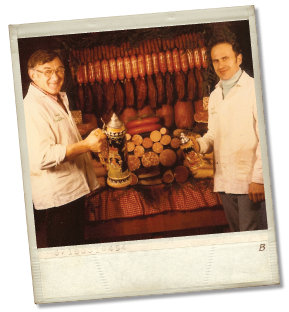 Since 1948.. Forest Pork Store has been regarded as the finest quality manufacturer of German style sausages, smoked meats, bolognas, hams and salamis. 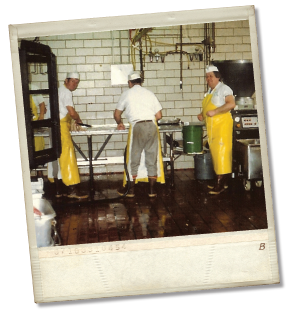 Our products are still hand made by skilled craftsmen in the same Ridgewood, New York bologna kitchen since the company’s inception. All of our products are made from traditional European recipes handed down from generation to generation, using only the finest quality ingredients. This, in conjunction with the love of the trade, results in a product like no other. Try a Forest Pork Store product and you will taste excellence. 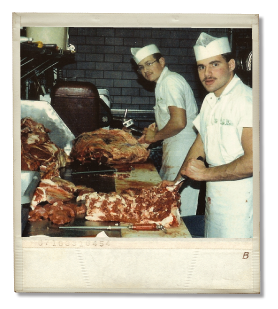 In 1972, Forest Pork Store expanded by opening up a store in Huntington. They sell everything they manufacture at the Ridgewood plant, plus a full selection of fresh cut meats and an extensive line of German & European import products. Plenty of Parking Available! Forest Pork Store is a very traditional Old World Butcher Shop. Come in and a true butcher counterman will serve you. 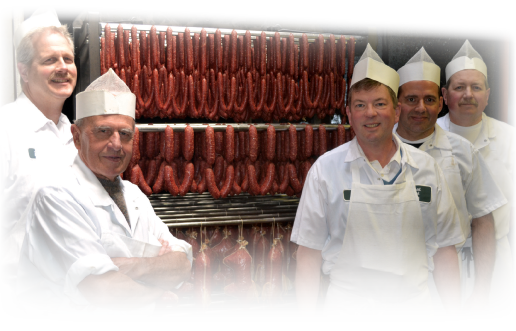 He will be happy to assist you in purchasing wurst, meats and even help you with guidance of their preparation. Stroll down our aisles and you will see we are much more than meats. We carry an extensive line of German and European import products and home made products.